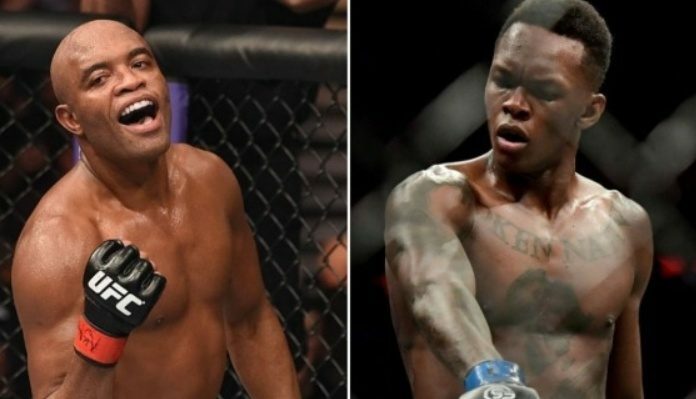 Tonight’s UFC 234 event was headlined by a middleweight bout between former division champion Anderson Silva and surging contender Israel Adesanya. Anderson Silva entered the octagon for the first time in over a year tonight in Melbourne. “The Spider” was last seen in action at UFC 208, where he scored a unanimous decision victory over Derek Brunson. Meanwhile, Israel Adesanya has gone a perfect 4-0 since joining the UFC ranks in February of 2018. “The Last Stylebender” was most recently seen in action at November’s UFC 230 event in New York, where he earned a first-round TKO victory over the aforementioned Derek Brunson. Round one of the UFC 234 main event begins and Adesanya lands a low kick. Silva circles waiting for Israel to enter the pocket. Adesanya with another low kick. Israel begins to work his jab now. Silva remains on the outside looking to counter. Another low kick from Israel. Silva answers with one of his own. Adesanya misses with an attempted hook kick. Anderson Silva continues to circle and wait on Israel who continues to probe his jab. “The Spider” charges in now. Adesanya counters nicely but Silva steps into the pocket and connects. Silva is showing flashes of old now. He is gaining confidence. Still Adesanya remains calm and clips Silva with a nice counter while Anderson was coming in. The former champion circles out. Adesanya chases after him with a combination but Silva slips and avoids. Israel with a low kick now. Both men exchange in the pocket and then posture off to end round one. Round two of the UFC 234 main event begins and Adesanya is looking to stick and move early. Anderson with a nice kick to the body. Adesanya responds with a body kick of his own and then a low kick. He lands a nice combination as Silva attempts to get inside. Silva with a spin kick but it doesn’t land flush. Adesanya leaps in with a left but Anderson responds with a crisp right over the top. Anderson rushes in with a nice combination and then lands a pair of uppercuts from the clinch. A right hand from Silva as the break. Adesanya fires back with a combination. Anderson looks to clinch again but Israel denies the hold and lands a kick followed by a combination. Israel with a straight right. Anderson replies with a low kick. Silva with a late flurry now. He gets the clinch and once again finds a home for some uppercuts. Round three of the UFC 234 main event begins and Adesanya lands a body kick to get things started. Israel with a low kick now. Anderson Silva catches it. Adesanya attempts a flying knee but Silva is wise to it. “Stylebender” circles and throws a high kick. Anderson leans against the fence daring Israel to step into the pocket. Silva with a side kick now. He’s waving Adesanya to come in and trade. Adesayna will not oblige and opts to retreat to the center of the cage. Silva comes forward and eats a low kick. Another pair of kicks from Israel. Anderson Silva fires back with a kick of his own. He charges in with a flurry but nothing connects. Adesanya with a hard kick and then a punch. Silva drops his hands and waves him in. Anderson with a right hand and a head kick. Adesanya with a kick to the body. Both men attempt spinning strikes but miss before the horn sounds to end round three.